A Division Bench of the Supreme Court comprising Justice A.R. Dave and Justice A.K. Goel today dismissed the petitions challenging the constitutional validity of the advocates-on-record (AOR) system in the Supreme Court. The Petitioners were represented by Senior Advocate Rakesh Dwivedi while Senior Advocate Siddharth Luthra appeared for the Supreme Court. Mr. Dwivedi reportedly submitted that Section 30 of the Advocates Act has to be juxtaposed with Section 58(3) of the Advocates Act to understand the consequences of the Act. He further submitted that Section 52 of the Advocates Act does not have an overriding effect because in that case, Section 58 (3) would not have been made a part of the Statute book at all. Mr. Luthra reportedly argued that Section 30 should be read along with Section 52. “The Rules do not take away the right of a lawyer to practice. It is not an absolute restriction,” he contended. The AoR system was challenged by the petitioners on the ground that Section 52(b) of the Advocates Act and Order IV, Rule 1, 5, 7(a)(i), (b)(i) and 7(c) of the Supreme Court Rules are ultra virus to the Constitution of India. You may read the LiveLaw story here. 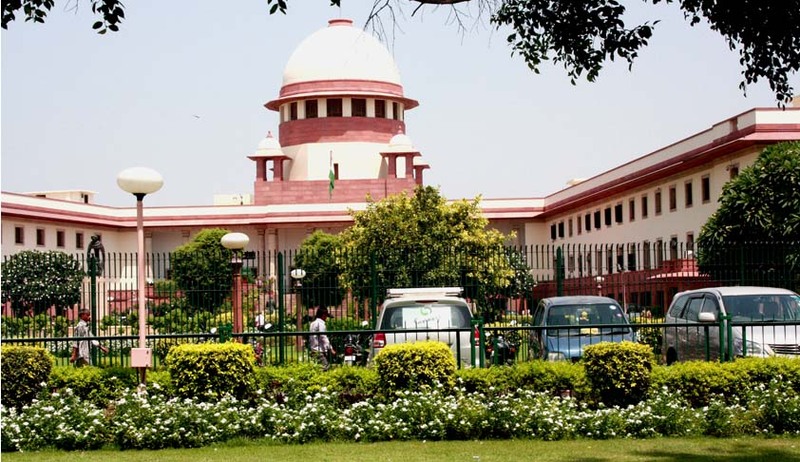 Section 30 was enacted under Part 4 of the Act on 9 June 2011, entitling all advocates enrolled in India to practice before all Indian courts, including the SC, subject to other provisions of the Advocates Act 1961. However the Delhi High Court, Balraj Singh Malik v Supreme Court of India, through Its Registrar General (AIR 2012 Delhi 79; decided on 13th February, 2012), had held that Section 30 was to be read with Rule 52 of the SC Rules, which preserves the rule-making power of the SC under Article 145 of the Constitution. The SC was therefore empowered to decide the manner as well as the right to practice of various classes of advocates before it, said the HC. Section 58(3) provides that advocates were subject to the SC Rules, in respect of their right to practice in the SC, only until Part 4 of the Act was enacted. The petitioners had hence contended that the SC Rules are now, after enactment of Part 4, subject to Section 30 and not vice versa. In July 2013, Advocate Lily Thomas in an interview with Live Law suggested that the Supreme Court does not have the power to subject advocates to this Examination. According to her, Section 30 of the 1961 Act provides that all advocates have the right to practice in all courts across the country including the Supreme Court and that no restriction could be imposed on that right. She had also stated that under the 1961 Act, there can be only two classes of advocates i.e. ‘Advocates’ and ‘Senior Advocates’.